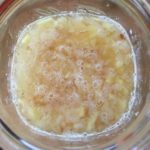 How to Make Kombucha in 3 Simple Steps! 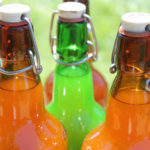 Kombucha is a tasty, easy to make fermented beverage that delivers a probiotic kick. If you’ve ever purchased kombucha at the grocery store, you know it is delicious, but expensive! I’m going to show you how to make kombucha at home – for pennies a serving – and in just three simple steps. If you want to take the kombucha love up a notch, you can continue the process with a secondary ferment. I’ll give you some suggestions for flavor combinations below, and also check out my super delicious wild-foraged elderflower kombucha recipe! If you haven’t yet experienced kombucha, it is a fermented beverage made from tea, sugar, and a culture called a SCOBY, or a Symbiotic Culture of Bacteria and Yeast. During the fermentation process, the SCOBY “eats” the sugar and creates a tart, tangy liquid. We used to affectionately call the SCOBY the “Tea Beast” because it has the appearance of a jellyfish or large gelatinous mushroom floating on the top of the sweetened tea! As the SCOBY eats the sugars in your kombucha, two things happen. One is that the SCOBY grows a new baby SCOBY. This is awesome because it means that your kombucha is self-perpetuating. You will soon have enough SCOBY to double or triple your batch size, and also to share with friends. 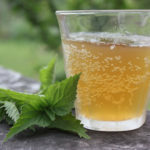 The second thing is that the kombucha-making process produces a number of beneficial organic acids, good bacteria and yeasts, B vitamins, a bit of alcohol, and carbon dioxide, so you end up with a tangy, slightly fizzy, probiotic-filled beverage. The tanginess of kombucha can be controlled by the length of fermentation – a longer ferment will produce a more vinegary flavor. 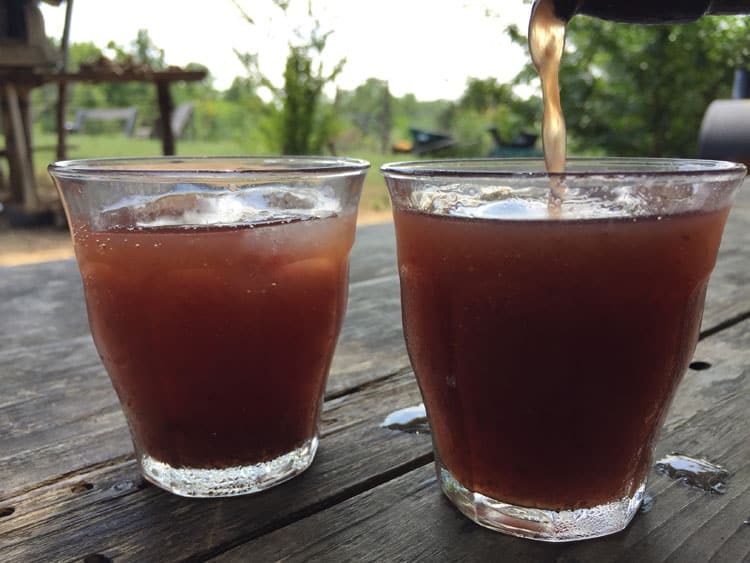 You can drink the kombucha as tangy as you like, but in my opinion, the real magic happens when you continue onto a secondary ferment, where a variety of ingredients such as fruit juice, ginger, whole fruit, chia, lemon, and other flavors can be added to accent the kombucha tang and to generate more fizz. 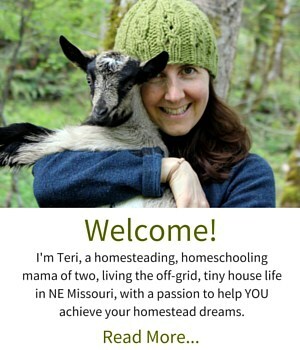 SCOBY starters can be purchased online (Cultures for Health is a great resource), or you can ask around in your community or online for a SCOBY. Because the SCOBY multiplies with each batch, regular kombucha makers always have extra SCOBY to go around and are usually happy to spread the SCOBY love! 1) Brew a batch of tea by boiling water and adding the loose tea to steep for about 10 minutes. Strain out the loose tea through a wire mesh filter, and add the sugar, stirring to dissolve completely. Allow the sweetened tea to cool to room temperature. 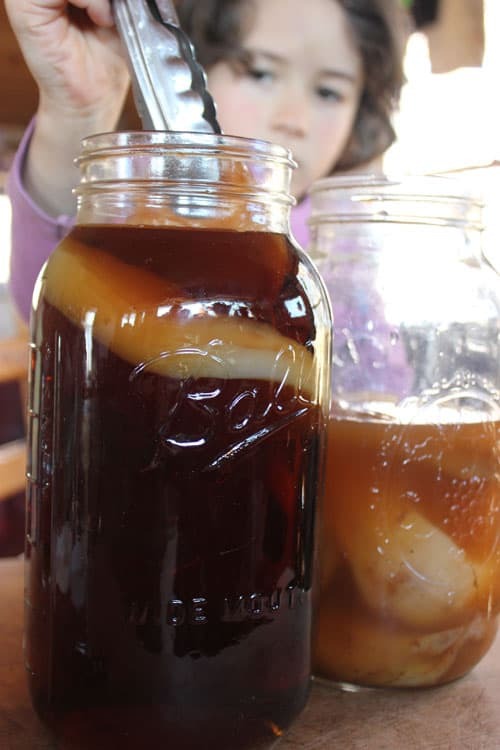 2) Pour the sweetened tea into a large glass mason jar or glass dispenser and add your SCOBY and starter tea. Cover with a piece of breathable cloth (cheesecloth or a lightweight tea towel work well) and secure with a rubber band or mason jar ring. 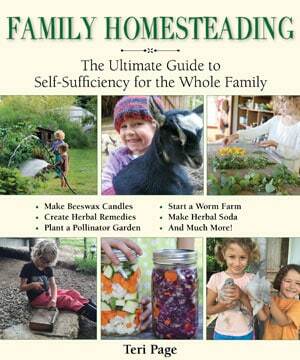 3) Place your kombucha out of direct sunlight in a room temperature location to ferment. Depending on how warm the ambient temperature is, check the flavor of your kombucha in five to seven days. Kombucha will ferment more quickly in warmer temperatures, and as it ferments, it will develop a stronger, sour-tangy flavor. When the kombucha flavor is to your liking, you can either drink it as is, or you can proceed to the secondary ferment! For the secondary ferment, you’ll need one cup of fruit juice and enough tightly sealing containers (like Grolsch flip-top beer bottles) to hold your kombucha. 1) Remove your SCOBY and 1/2 cup of kombucha and place them in a glass jar to start a new batch. 2) Divide your fruit juice equally among your glass bottles and top off the bottle with your kombucha. Seal the lid and place the bottle in a safe place to ferment for one to five days (fermentation will happen more quickly in warmer temperatures). Important Safety Note: At this stage, the fermentation of the sugary fruit juice will create carbon dioxide, which is what will make your kombucha fizzy. However, the carbon dioxide can also cause your glass jars to explode if the fermentation is left unchecked. Carefully “burp” your bottle each day to check on the level of carbonation, and store in a safe location. A cooler is an option we have used in the past. 3) When your kombucha has developed fizz, move it to the refrigerator or drink immediately! If I plan to make add chia to my kombucha, I generally do it at this point. Kombucha is a tasty, easy-to-make fermented beverage that delivers a probiotic kick. I’m going to show you how to make kombucha at home – for pennies a serving – and in just three simple steps. Brew a batch of tea by boiling water and adding the loose tea to steep for about 10 minutes. Strain out the loose tea through a wire mesh filter, and add the sugar, stirring to dissolve completely. Allow the sweetened tea to cool to room temperature. 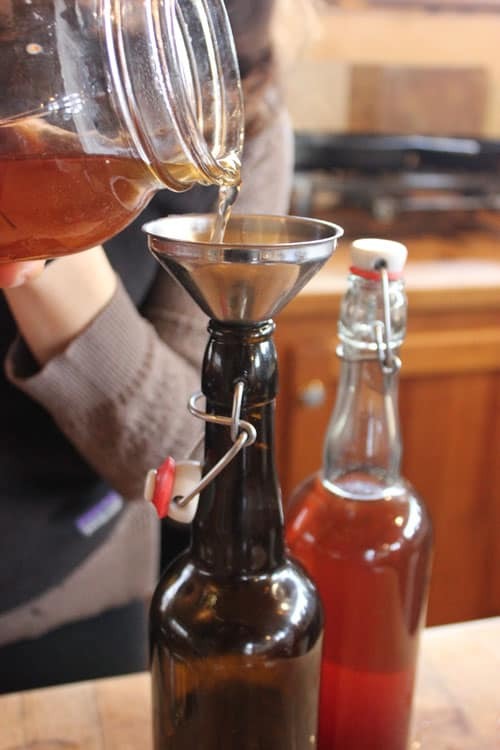 Pour the sweetened tea into a large glass mason jar or glass dispenser and add your SCOBY and starter tea. Cover with a piece of breathable cloth (cheesecloth or a lightweight tea towel work well) and secure with a rubber band or mason jar ring. Remove your SCOBY and 1/2 cup of kombucha and place them in a glass jar to start a new batch. When your kombucha has developed fizz, move it to the refrigerator or drink immediately! 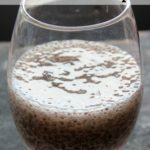 If I plan to make add chia to my kombucha, I generally do it at this point. *Important Safety Note: At this stage, the fermentation of the sugary fruit juice will create carbon dioxide, which is what will make your kombucha fizzy. 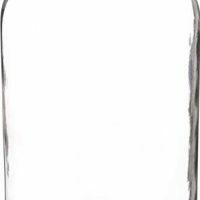 However, the carbon dioxide can also cause your glass jars to explode if the fermentation is left unchecked. Carefully “burp” your bottle each day to check on the level of carbonation, and store in a safe location. A cooler is an option we have used in the past. 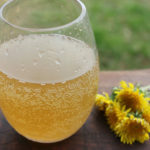 Dandelion Soda Recipe :: Naturally Fermented with a Ginger Bug!